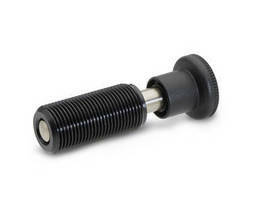 Metric Spring Bolts come with or without pull knob. Door Top Bolt secures inactive half of double doors. Made from cast iron in Art Deco pattern with geometric shapes, Door Top Bolt secures inactive half of double door pair using spring-loaded bolt and 24 in. 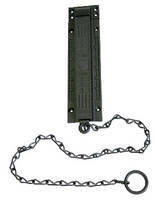 pull-chain release, which can be shortened if needed.Â Unit is surface mounted and comes with mounting screws, eliminating mortising of door. 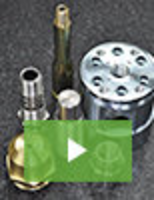 Fit and finish are modern with smooth operation and powder coating for lasting service.